Ditch the salamander and heat your engine the right way! Now Available - 240v "Aussie" Model! We now have a 240v/50Hz Australian/New Zealand model available! These will be on a make-to-order basis with an approx 2 week lead time. Pricing and online ordering available on the "Order" page. Pre-heating your engine reduces start-up wear and you won’t burn gallons of fuel waiting for your engine to come up to temp. It also allows your engine to produce maximum horsepower as soon as you hit the track. If you’re currently using a salamander-type heater, now is the time to upgrade to a true engine heater and do the job right. This unit runs off a standard 120v plug and can be powered with a generator as small as 3,500 watts. It will fully heat a cold engine to 180* and maintain engine temp throughout the night. We offer a 1-year replacement warranty on the pump and heater element. We have sold our heaters all across the US and had tremendous feedback from our customers! 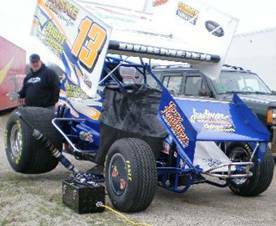 From sprint cars to late models and from modifieds to midgets, the Hot Shot is a proven performer. Order with confidence today! Heating your oil with a salamander or heating pad helps, but that’s only half of the equation. 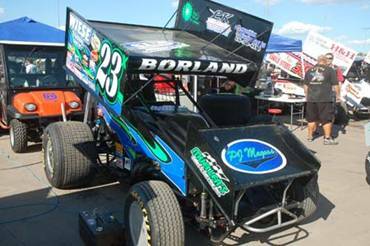 By heating your cooling system, the entire engine is brought to race-ready temp before you fire it up. That means all tolerances to which the engine was carefully built are achieved before it’s even started. 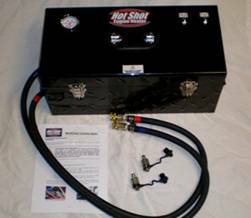 Using a 2,000 watt heater and 10gpm pump, the Hot Shot brings a cold engine up to operating temperature in 60-90 minutes and easily maintains engine temp between events at the track. The entire engine and cooling system are heated – this means the block & heads and all internals, and everything else attached to them. This includes the radiator & lines, injection, oil pan, oil pump, motor plate etc, etc. 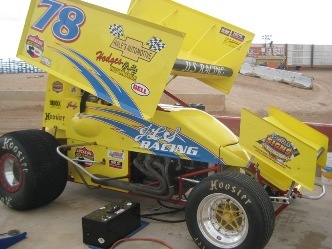 Here is data from an actual test on a 410 sprint car engine. The Hot Shot brought this stone-cold engine from 60 degrees to 140 in less than an hour, and to a nice hot 180 in 90 minutes. The heater was powered by a small 3500w generator. Uses a standard 120v power supply and can be powered with a generator as small as 3500 running watts. Comes complete with quick-disconnects for your engine. The Hot Shot uses an all-cast iron design that is both efficient & durable. With an integrated temp gauge and separate pump & heater circuits, it has just what you need to heat your engine. To keep the price reasonable, we left out non-essential options like lighted panels, pressure gauges, thermostats etc. 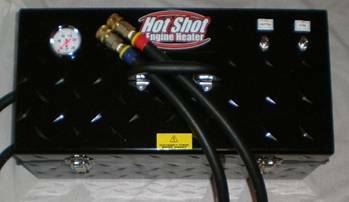 The Hot Shot does one thing, and does it well: Heat your engine. 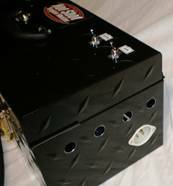 The unit measures 20x10x9 and weighs 31 lbs. 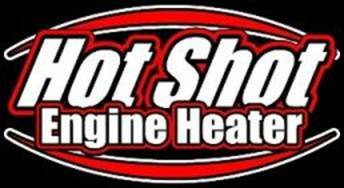 We encourage you to support your local speed shop and buy the Hot Shot there. If they don’t carry it, we can direct you to somebody who does. You can also purchase online via our website (Order button at the top of this page). Do not hesitate to shoot us an email or call with any questions.